Bell Tower Shops will be hosting a ‘Charity Car & Truck Show’ on Oct. 27 featuring custom sports cars, hot rods and trucks. Judges will present a total of 110 awards in a variety of categories, including cars stock, cars modified, trucks, street rods, foreign, Corvette stock, Corvette modified, Mustang stock, Mustang modified and best of show. The Charity Car & Truck Show is sponsored by Certified Slings & Supply and is being coordinated by Premium Productions, a Pinellas Park company specializing in car show productions. The car show at Bell Tower Shops runs from 9 a.m. to 3 p.m. on Saturday, Oct. 27. Judging begins at noon and awards will be presented at 3 p.m.
To enter a vehicle in the car show, please visit PremiumCarShows.com. The cost to register is $20 in advance or $25 on the day of the show. World of Beer will be offering Motorworks draft beer for $5 during the event. Proceeds from the car show will benefit Shriners Hospitals for Children, which focuses on a wide range of pediatric orthopedic conditions, including rare diseases and syndromes. 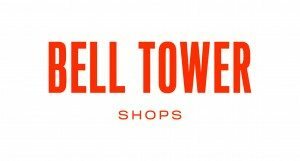 Bell Tower Shops is located at 13499 S. Cleveland Ave. in Fort Myers. The car show will be held rain or shine.